Tohoshinki’s hit song ‘Doushite Kimi wo Suki ni Natte Shimattandarou’ will be made into a drama CD! We have taken care of the original interpretation of the lyrics – and have made a love story based on the impressive phrases of the song lyrics. This is a “Song Drama”, which has used the impressive phrases of the lyrics, and summarized them into a original drama. 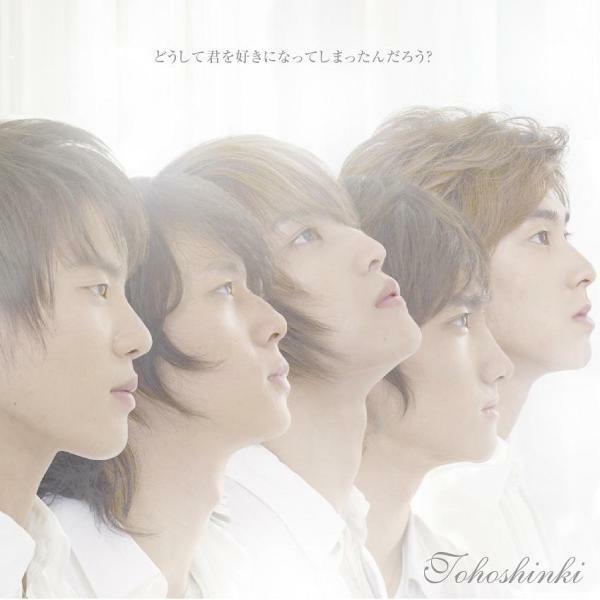 In this first drama CD, Tohoshinki’s mega-hit song ‘Doushite…’ is chosen. We have targeted the love story for female users, of whom pour their emotions in the lyrics of their favorite songs. Here, from Daily Sports. Yoochun from Tohoshinki (which announced the suspension of their activities as a group) will play the leading role in a Japanese drama, and Junsu-san of the same Tohoshinki will sing the theme song. Starting June 4, on the exclusive broadcasting station for the cellular phone, BeeTV, the title of the drama is “Beautiful Love ~Kimiga Ireba~”. Yoochun will play the role as a Korean Chaebol (financial clique) scion, and (T/N: Aya Oomasa will be )a magazine writer who dreams to be a novelist. This will be a love story of the two. And for Junsu-san, he is famous for his vocal skills in the group Tohoshinki. The theme song for the drama “Kimiga Ireba ~Beautiful Love~” is a ballad especially written for this drama. This theme song will be released on May 26. Little by little, the members’ activities are opened to public. You can watch this is a drama through the cellular phone. His first leading role, and the script is 90% in Japanese, we look forward to his works. In the midst of extra script check!! 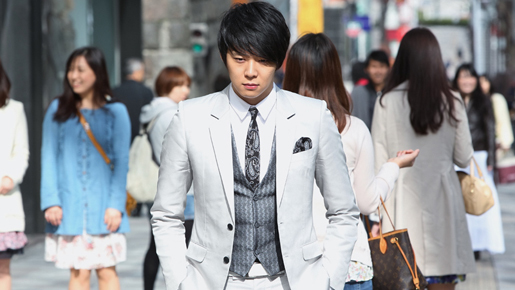 In fact, the first time Yuchun got his script was only a day before the shooting started. 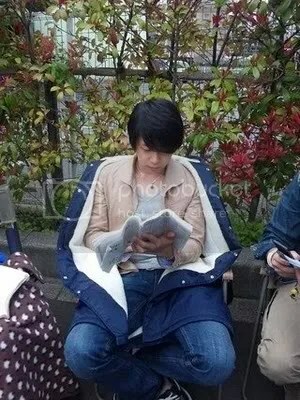 Having just checked the script book on the spot, Yuchun was reading each word and how they related to each other desperately. Until dawn, he kept doing a super intensive training to face the first day shooting. Max Matsuura reported on his Twitter yesterday that BeeTV now has over 1,100,000 members. According to AV Watch News and MSN News, BeeTV members exceeded over one million (1,000,000) on March 16th.